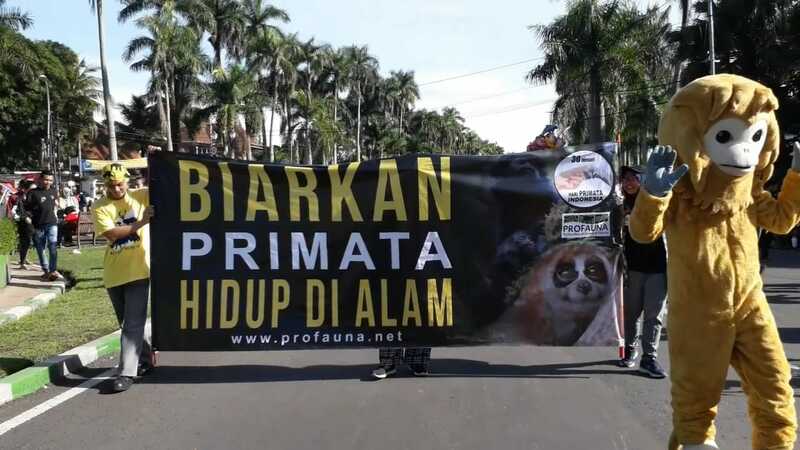 The Indonesian Primate Day was again widely celebrated this January with its peak on 30 January 2019, "Stop Primate Poaching" being the theme. Celebrations took place nationwide in form of public campaign, education activities, and social media campaign. At least 30 events were held by the cause's supporters including students, nature clubs, NGOs, and even individuals. Cities celebrating the moment were Malang, Berau, Luwuk Banggai, Jakarta, Sidoarjo, Bandung, Probolinggo, Kuningan, Kotawaringin Barat, Makassar, Purwokerto, and Bogor. 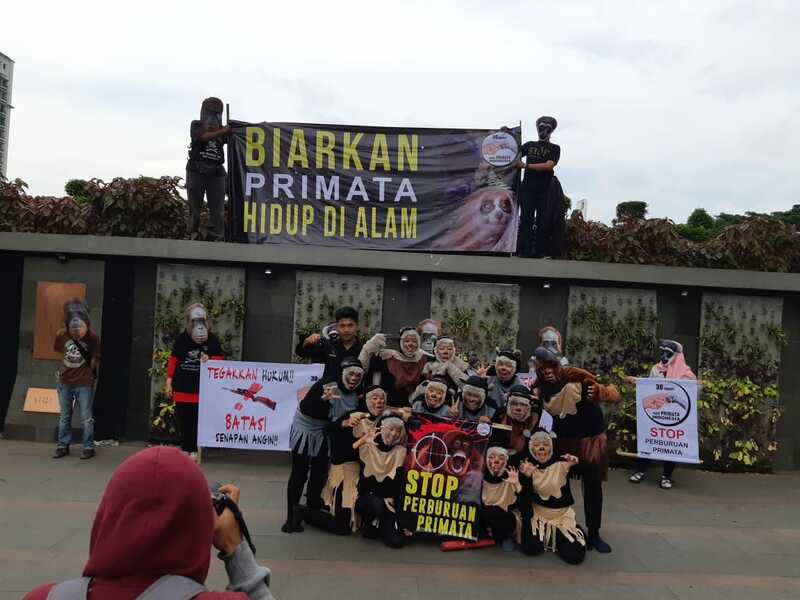 "The celebration of Indonesian Primate Day is an important measure to raise public awareness towards primate conservation, and this way we can engage more people to take active part in the movement," said Siti Nur Hasanah, PROFAUNA's campaign officer. Among the celebrations were in front of Gedung Sate, Bandung, West Java. 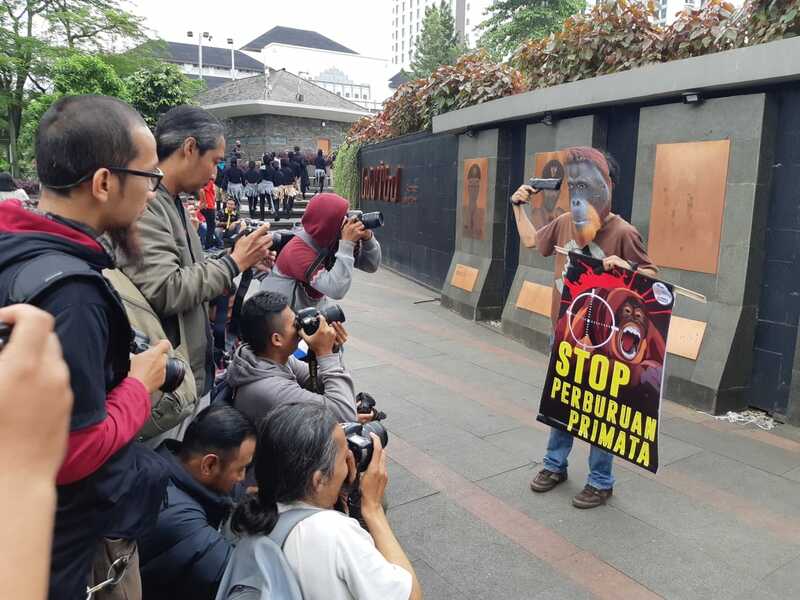 The public campaign staged by PROFAUNA's activists presented a theatrical act depicting the dangers of air riffles for primates. "The number of people who hunt primates as a hobby is ever increasing due to easy access to air riffles. They kill primates for fun, and even post photos of their gruesome feats on social media," explained Nadya Andriani, the coordinator of PROFAUNA West Java. Around 59 primate species can be found in Indonesia, from the tiny tarsiers up to the impressive orangutan. Sadly, Indonesia also holds a long list of endangered wildlife species including primates. 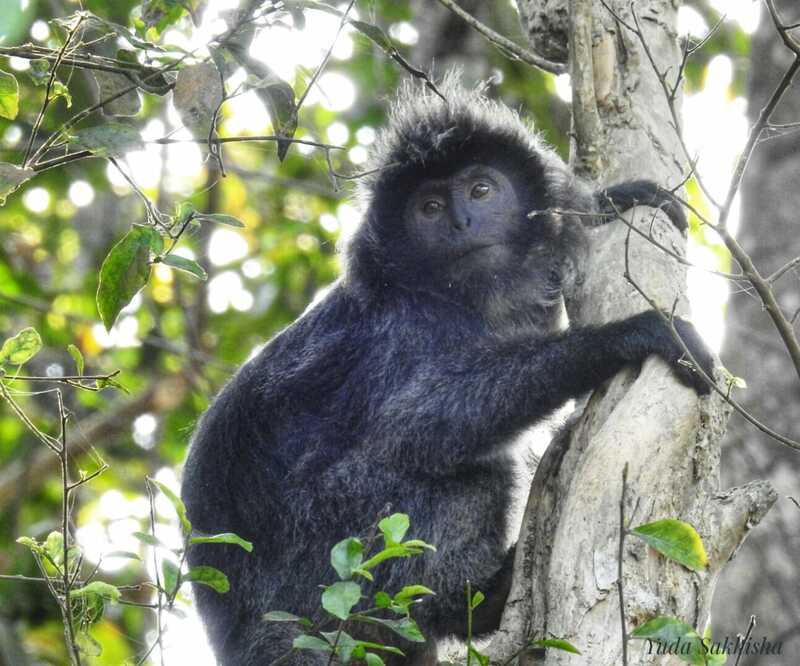 IUCN listed 4 Indonesian primates in the World's 25 Most Endangeres Primates 2016-2018: Simakobu, Javan Slow Loris, Bornean Orangutan, and Black-crested Macaque. Along with deforestation, poaching and illegal trade also severely threaten primate's survival. Being an increasingly popular hobby, animal hunting has become a prestigious activity for some people and they take pride in endangering wildlife. "There are more events celebrating the Indonesian Primate Day 2019, but so far we have only been informed on 30," added Siti.